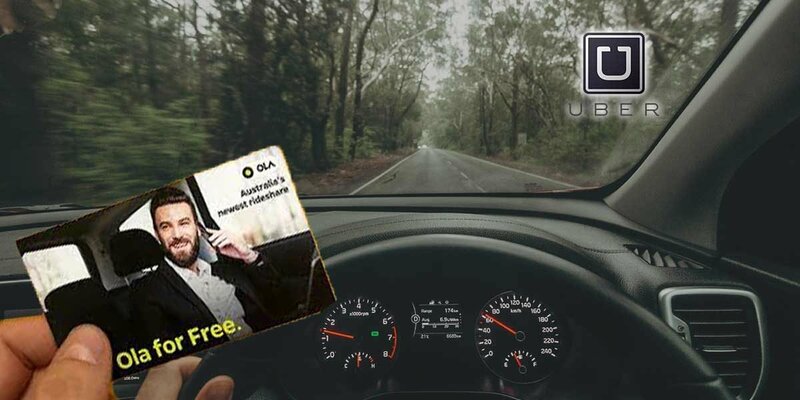 In a world where getting a positive word out from your primary rival is almost unthinkable, India’s biggest cab-hailing firm Ola has managed to woo its rival drivers to promote ‘Try Ola for free’ campaign in Australia. Uber drivers in Perth are handing out promotional cards to the passengers and asking them to switch to Ola. Drivers are motivated by Indian ride-hailing lower commission model, which is as low as 7.5 per cent while Uber Australia charges around 27.5 per cent, which is more than 3 times of what Ola offers. “I have both apps installed and opened on my phone, and will take an Ola trip first as I earn more with them,” the Sydney Morning Herald report quoted a driver in Perth. In January this year, Ola had announced the launch of its operation in Down Under. In three months of operation, it claims to have 30,000 drivers signed up on its platform. Ola is doing 11,000 rides a day with an average ticket size of Rs 1,000 in Australia. Uber is Ola’s primary rival amongst the presence of ride-hailing firms GoCatch and Taxify in the Down Under. After starting its operation in 2012, Uber currently operates in 19 cities including the major cities of Sydney, Melbourne, Brisbane, Adelaide, Perth and Canberra in Australia. According to an estimate, Uber has around 82,000 drivers in Australia. In the country, the platform claims 3.8 million regular riders and 62,000 active driver partners. Both Ola and Uber have already been locked in a fierce battle for leadership in the Indian market. The US-based ride-hailing firm had adopted a similar approach, to draw riders through discounts and promotion, when it entered India in 2014. Ola, backed by Tencent and Softbank, countered every move by Uber and continued consolidating its market share. According to Kalagato, the Indian ride-hailing major market share rose from 53 per cent in July 2017 to 56.2 per cent in December last year. Meanwhile, Uber market share went down by around 2.4 per cent from 42 to 39.6 per cent during the same period. Since both Uber and Ola had a majority of shareholding owned by Softbank, media reports in March had suggested that both ride-hailing firms might merge and the deal might be sealed in two months. However, till date, no such development has taken place. In the last few months, the Indian ride-hailing company has adopted an aggressive approach towards expanding to offshore markets after securing $1.1 billion from Tencent. The Bengaluru-based firm has been also looking at neighbouring markets in the sub-continent such as Sri Lanka, Nepal, and Bangladesh. It has also run a pilot in the UK last month. Founded in 2011, Ola claims 12.5 crore registered users in India and more than 10 lakh driver partners across more than 110 cities. The company serves as many as a billion rides in India annually through its platform.